Half of Gulf Energy SAOC workers are located outside the company’s Muscat, Oman, headquarters, making it difficult for the IT staff to manage and protect their PCs. Gulf Energy is using the Windows Intune cloud-based PC management service to remotely and proactively manage PCs, reduce support costs, improve productivity, and enhance PC security. With Windows Intune and Microsoft Office 365, Gulf Energy can easily meet the needs of its many field employees. Gulf Energy SAOC provides oil field services to oil & gas companies operating in Oman. These include well evaluation and optimization, drilling technologies, and well rehabilitation services. Of its 500 employees, 300 are information workers. About half of the information workers are located in the Muscat headquarters, but the rest are scattered around the region, traveling and working in oil fields with customers. This made it difficult for the IT staff to manage the company’s 250 desktop and laptop computers. “We had a mix of PC hardware and software, no centralized management software, and many manual processes for updating software and remediating problems,” says Saif Al Kindy, IT Manager for Gulf Energy SAOC. Al Kindy and one other staff member spent most of their days responding reactively to PC problems. They relied solely on Windows Update Services to deploy security updates but had to select and install them PC by PC. Whenever employees needed a new software application or an update to an existing application, Al Kindy and his colleague had to manually install it. If a PC was infected with malware or had another problem, the employee had to drive into headquarters and hand over their PC for hours or days, during which time they could not work. The IT staff had no way to proactively detect and remediate problems that could disable computers. Gulf Energy had already worked with a local member of the Microsoft Partner Network to deploy Microsoft Office 365, the complete Office in the cloud that includes the Microsoft Office desktop applications plus cloud-based business email, videoconferencing, and file sharing. “By subscribing to Office 365, we avoided an approximately OMR200,000 [US$520,000] expense in on-premises infrastructure, and we were able to deliver the latest productivity and communications solutions in weeks instead of months or years,” Al Kindy says. With Windows Intune and Office 365, we are able to support our employees wherever they are in the field. Proactive management lets us solve problems and deliver new capabilities dramatically faster. After this successful venture into the cloud, Gulf Energy asked the solution provider if Microsoft had a cloud solution for PC management. The solution provider responded with Windows Intune, a cloud-based PC and mobile device management solution that provides centralized, automated, cloud-based management of corporate and user-owned client devices. It includes Microsoft System Center 2012 Endpoint Protection for malware defense. With Windows Intune, Gulf Energy has a single dashboard for viewing the health and hardware/software inventory of all its client devices. To apply security updates, Al Kindy simply selects the updates he wants to install and the time of day he wants to install them, and Windows Intune applies them to all devices, no matter where those devices are located. 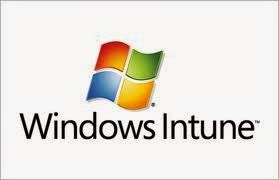 Gulf Energy also uses Windows Intune to notify IT of unauthorized applications that users may have installed. When employees have problems with computers, Al Kindy and his colleague use Windows Intune to remotely view the individual’s computer, connect to the computer for diagnostic testing, and usually resolve the problem without touching the PC. They are managing 250 desktop and laptop computers with Windows Intune; 85 percent run the Windows 7 Enterprise operating system and 15 percent run the Windows 8.1 Enterprise operating system. Gulf Energy is taking advantage of the Windows Intune self-service portal to empower employees to enroll their own devices and download needed software. Because Windows Intune is linked to the company’s Active Directory Domain Service, IT can specify which applications each user is authorized to download. By subscribing to Windows Intune, Gulf Energy can proactively manage field PCs, reduce PC support costs, improve employee productivity, and enhance PC security. Company PCs are better protected using Endpoint Protection, which captures more threats than did the company’s previous antivirus software. In the past, Al Kindy dealt with at least seven malware infections a month; today, he sees two or less a month. “One infected PC can infect our entire network, so this level of protection is very important to us,” he says.